The balance and strength of the Stainless Steel Heavy Machete are perfect for chopping through wood and other tough materials. The top of the blunted blade is weighted, adding to the power and efficiency of its straight cutting edge. 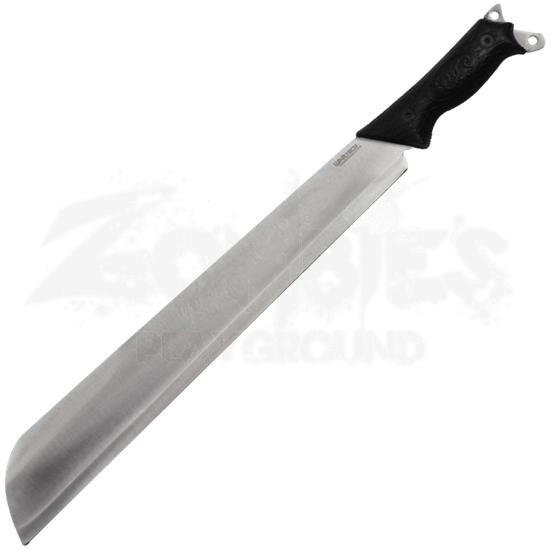 Crafted from stainless steel, this heavy machete offers durability as well. Textured black ABS plastic covers the grip of the full tang blade. Two lanyard holes appear at the pointed tips of the tang. 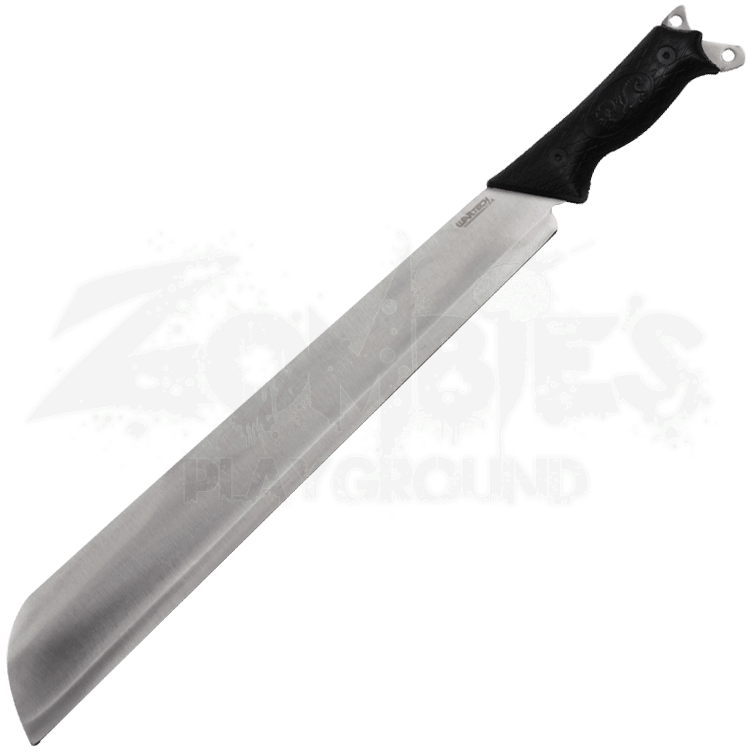 No matter where the outdoor adventure leads, the survivalist is sure to make good use of the Stainless Steel Heavy Machete.